As the holidays approach, I wanted to post information about a wonderful new tool that has recently earned a place in my permanent arsenal. I first read about it in my friend Nancy Ondra’s blog, http://hayefield.com/ in a recent post of her’s titled Shear Genius. Nancy doesn’t post about anything that is not up to snuff, and I ordered a pair right away. I’ve now had a chance for a garden test, and they do not disappoint. Think about ordering a pair for yourself or for a gardening friend. You won’t regret adding them to your arsenal. Hi Barbara! It’s super that you’ve gotten your shears already, and that you love yours as much as I do…and I’m not getting any kickback for my endorsement, either! I hope you and all at Hackberry Point have a joyous holiday. Hi Nan! I adore mine. They will make clean up so much easier, plus I can’t wait to use them for cutting plants back during the season. 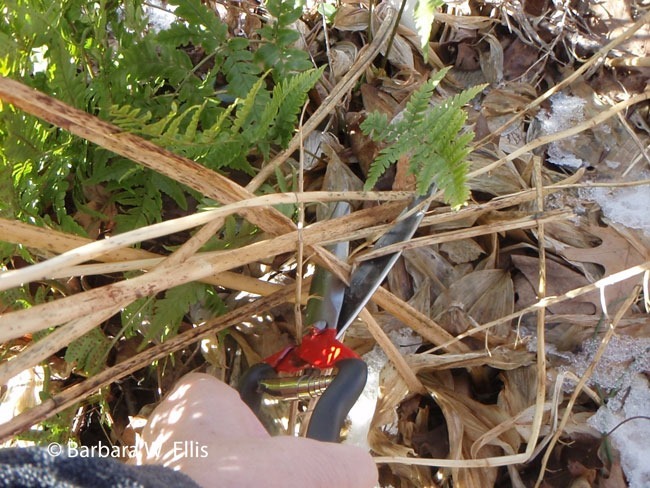 Thanks Barbara for the great words about the shears! Like my sister, I’m not easily impressed by tools but the first clump of grass I cut, I was sold and had to let other gardeners know about it! No problem! I’m not easily impressed either, and I have a garage full of so-called wonderful tools that I tried out once and don’t bother to take out into the garden again. I’m so glad you got Nan to try them out!